Large format printing is one of our specialties with over 30 years of experience in this specialized field, from large posters, banners to tradeshow graphics. We take pride in our craftsmanship. When you want your large format printing done perfectly- and on time every time- talk to us! 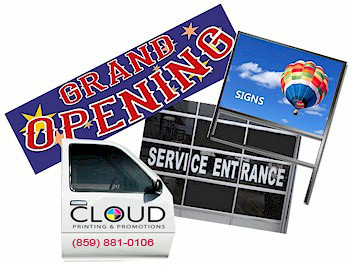 We can help you with all of your sign needs, from a single yard sign to complete warehouse signage.